Suitable Raw Materials for This Fuel Pellet Machine: Sawdust, wood chips, forestry wastes, agriculture residuse, sunflower stalk, paddy straw and other kinds of biomass materials. This roller-turned diesel pellet mill is mainly composed of diesel engine, base, feeder, upper body, pellet die, roller, main spindle box, gear box and clutch assembly. It is ideal choice for making pellets on farm or other places where electric energy is limited. It is sold with cost-effective price and all around after service. You don't have to worry about the starting problem even in frozen winter, since this large horsepower diesel engine is designed with two batteries. Besides, if necessary, you can install a 24 Volt electrical starter on this machine for the purpose of saving time and energy. Hot sale in rural area where electricity costs a lot or power source is not available; Diesel is available anywhere and can be bought with relatively low price. More Controlable: Tthe accelerator of the diesel engine is ajustable, making it possible to balance the driving force and running speed. In this way, not only the quality of final pellets is guaranteed, but also can the energy consumption can be reduced. Safer: You can stop the machine immdiately in emergency with the clutch. 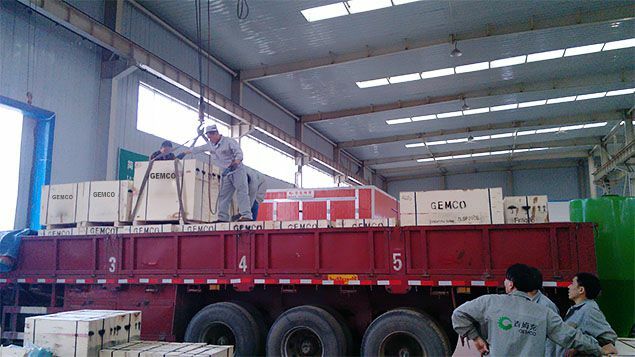 What's more, the transmission shaft of the mobile wood pellet mill is supported by two tapered roller bearings which could withstand larger two-way axial force and radial force, ensure the safety of the structure and operation. Movable: Since this mill is driven by diesel, you don't have to consider the power supply issues and can make fuel pellets anywhere you want.